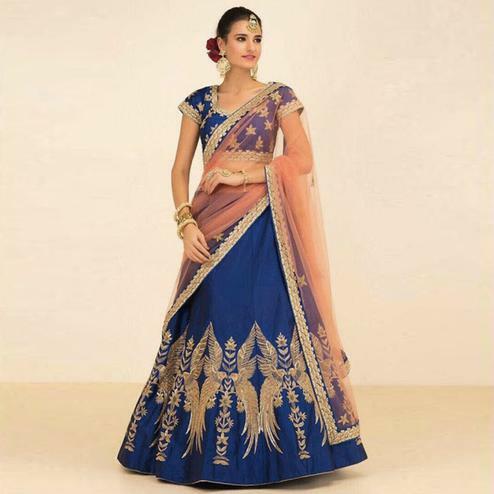 This pretty piece is a fairy tale that begins to unfold as you reveal your beauty in it. 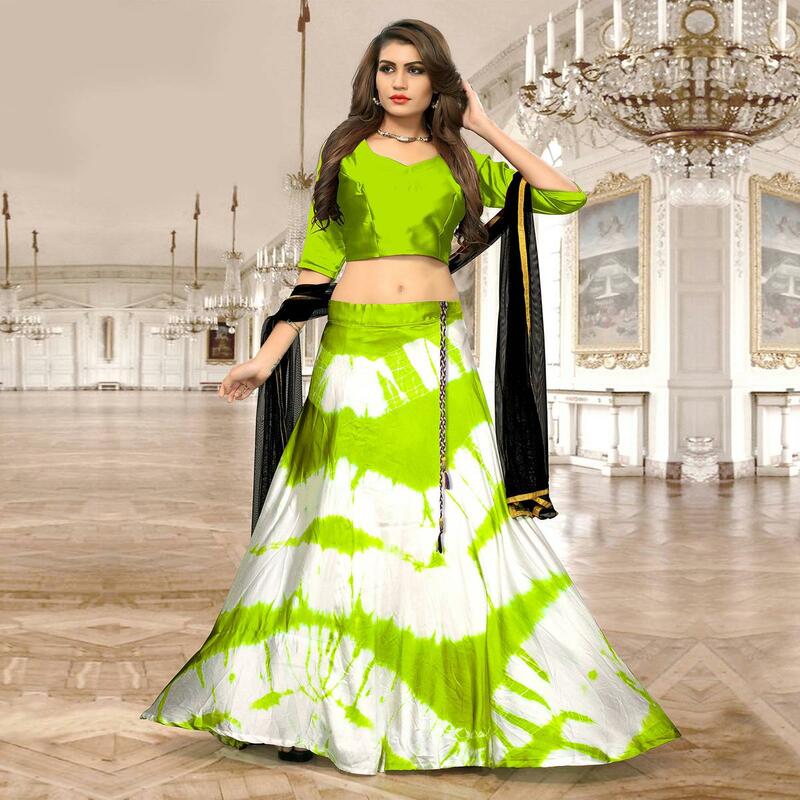 Look ethnic in this gorgeous bright green-white colored lehenga choli. 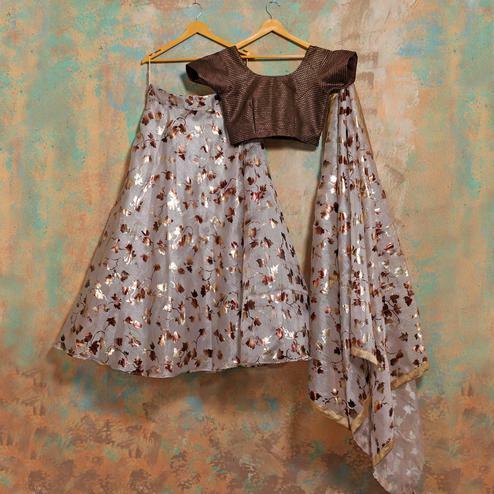 The lehenga is beautified with abstract shibori print work seems to be chic and great for any get together. 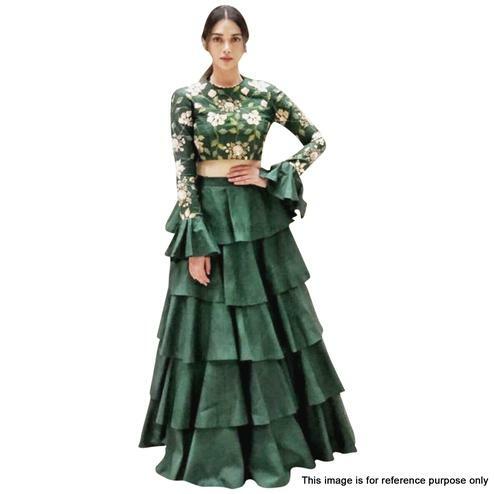 Lehenga and blouse fabricated on taiwan satin fabric and soft net dupatta. 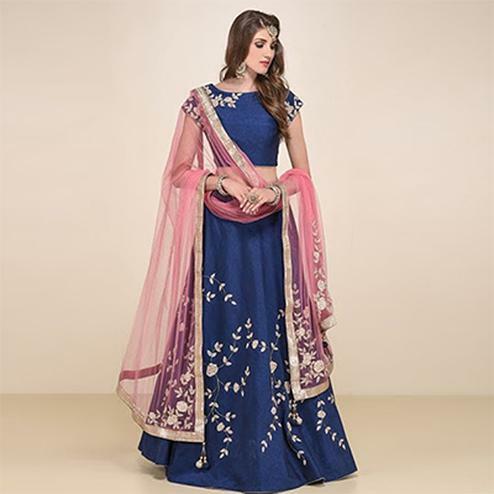 Specially designed to wear in festivals, functions, special occasions and parties where you want to be center of attraction. 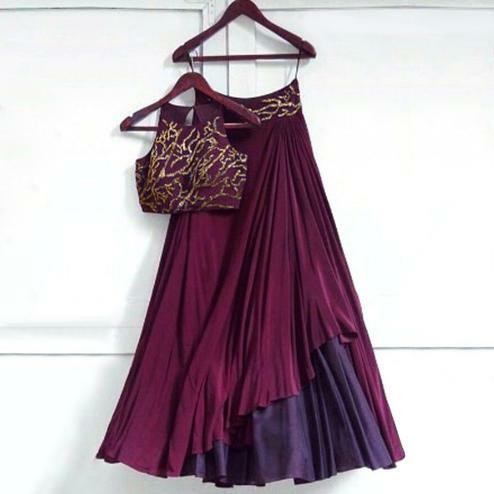 Teaming this dress with golden jewellery and high heels that would be an added attraction. 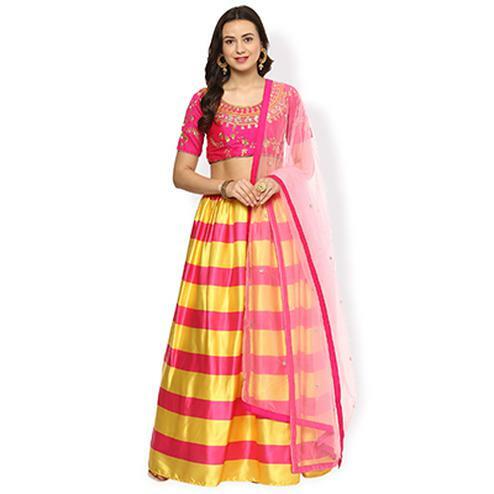 Buy this lehenga choli and earn lots of compliments from onlookers.